Successful adaptation in our complex and unpredictable world depends on our ability to flexibly adjust our behavior to meet new challenges. Individual differences in cognitive control ability and associated brain networks are associated with higher risk of mental health problems and poorer outcomes in both physical and mental illness. For instance, poor cognitive flexibility is associated with greater risk of substance abuse and suicide, poorer quality of life and recovery post-stroke, and greater risk of cognitive decline in old age. Cognitive control networks and engagement in high-risk behaviors in adolescence and young adulthood. Cardiovascular risk factors on brain and cognitive decline in middle age, and the emergence of early signs of dementia in old age. Role of premorbid level of cognitive control on motor and cognitive recovery after stroke and brain injury. Maternal cognitive control on development of adaptive behavior patterns in offspring. Link between cognitive control and anxiety on adaptive behavior patterns in childhood, young and late adulthood. My research has implications for developing evidence-based educational, clinical and community programs that promote adaptive behaviors in childhood, adolescence and young adulthood, extend quality of life in old age and post-stroke, and facilitate behaviors that promote healthy life choices. I have always been fascinated by the complexity of human behavior; how our brain shapes and is shaped by our experience. We live in exciting times; scientists have come out of their silos and are collaborating across fields that were previously isolated. My research extends across the fields of developmental psychology, cognitive neuroscience, neurology and psychopathology. By breaking these barriers, we are beginning to understand the complex interactions between brain, personality and environment, and gaining new insights about multidisciplinary approaches to prevention and treatment of mental and physical illness. The emerging success of cognitive training programs, together with the plasticity of neural networks that underlie cognitive flexibility, point to the ability to develop targeted and evidence-based interventions to strengthen the underlying neural networks and improve adaptive behavior. As one size does not fit all, we need to model our approach on personalised medicine, using emerging evidence to design programs that target different ages, developmental patterns, and clinical conditions. Prof Frini Karayanidis is Director of the Functional Neuroimaging Laboratory in the School of Psychology, a multi-campus facility that has state-of-the-art equipment for cognitive neuroscience research. She completed her PhD at the University of New South Wales and undertook two post-doctoral positions at Macquarie University and University of Montreal, before taking a position in the School of Psychology at the University of Newcastle. She has a very strong publication record in her field, with multiple publications in top-ranked journals (e.g., J Neurosci , Human Brain Mapping, NeuroImage). Her work is highly cited internationally and is regularly featured in national and international conferences. She has supervised the training of many PhD, Masters and Honours students, many of which are now strong early career researchers in their own right. 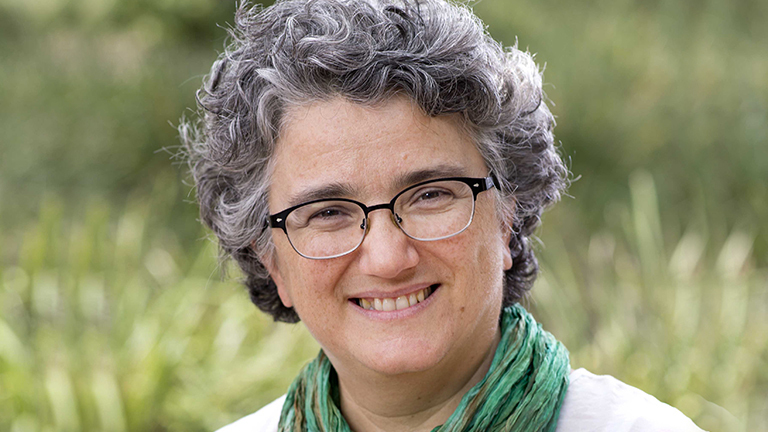 Prof Karayanidis’ national standing is evidenced by her election to the Australian Research Council (ARC) College of Experts and her editorial roles in top journals in her field (e.g., Psychophysiology, Neuropsychologia). She is founding member and public officer for the Australasian Society for Cognitive Neuroscience (ACNS), member of the management committee of the HMRI Research Register and the steering committee of the ABC Network. Prof Karayanidis has an extensive multidisciplinary collaboration network including joint publications and funding with senior researchers and clinicians in the Faculty of Science and IT, and the Faculty of Health and Medicine, as well as prominent national (e.g., UNSW, University of Melbourne, Queensland University of Technology, Griffith University) and international institutions (e.g., University of Amsterdam, National Cheng Kung University Taiwan, Concordia University, University of Illinois at Urbana-Champaign, University of California Davis). She heads a strong multidisciplinary international team on cognitive flexibility across the lifespan, leads the development of cognitive assessments and interventions in the NHMRC CRE in Stroke Rehabilitation and Brain Recovery (AI), and conducts cross-cultural research with collaborators in Taiwan, comparing cardiovascular risk factors on cognitive functioning and white matter disease in Australian and Taiwanese adults.